As we hurry towards the under-fifteen training pitch, I start to get a feeling in my tummy that something isn’t right. It’s the right game, soccer. And there’s skill all over the place. Which is perfect for Matt because he won’t have to get into any arguments about changing sides. And the pitch looks brilliant. Smooth and green and completely free of wombat activity. And yet something’s a bit weird. It’s probably never easy being the manager for a star football player, but when you’re ten years old and the star is your fourteen year old brother there can be all sorts of complications. Ten year old Bridie is so proud of her bother, and is sure that she can help him land a contract to play in England, and follow his dreams. After a run of bad luck for their family, it seems things are looking up when they get the chance to travel to England and try out for a big-league soccer club. Once they’re there, though, Bridie begins to have her doubts. There’s something strange about the other players they meet: nobody is happy. What if Matt stops being happy, too? 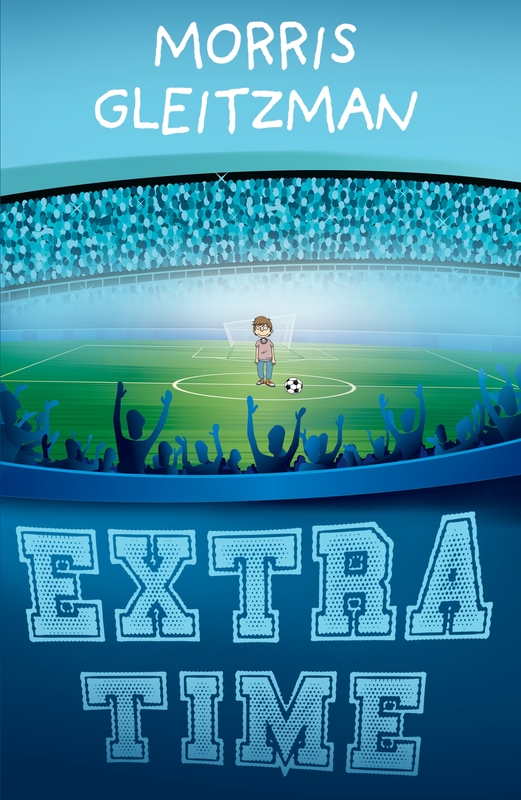 Extra Time has award winning-author Morris Gleitzman’s familiar blend of humour and heart-tug. Bridie’s love of her brother, and the rest of her family, and her sometimes-wise, sometimes-naive world view is endearing. The adult characters are almost pantomime in their wackiness, which adds to the fun, balanced by the tough times faced and hinted at. Likely to appeal to readers aged nine and over, Extra Time.